Musélan: monday morning musing: What will you say about yourself one year from today? 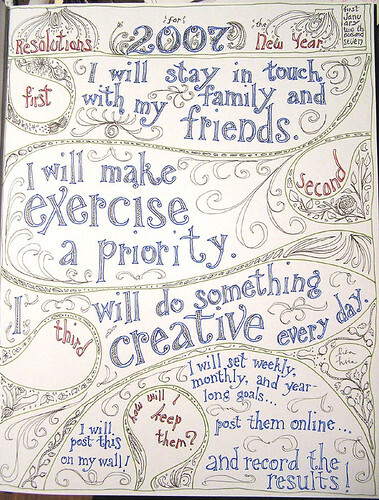 monday morning musing: What will you say about yourself one year from today? that you cannot say now? Now that you have begun to dream about your life and what you really want and taken more responsibility for making those changes, and challenged your beliefs around having time to make changes, what would you like to create in 2013 to get you closer to your Big Dream? Just so we get this straight, I don't care if you think it is possible or you are capable of it, that comes later. For now, set your intentions for the year based on what you really want for your life; let the excitement of your Big Dream get you excited about your intentions. “We must learn to reawaken and keep ourselves awake, not by mechanical aid, but by an infinite expectation of the dawn.” (Henry David Thoreau) Let your Big Dream be the dawn; start expecting it! Fourth Assignment: (Although you probably figured this one out! :-) ) What do you want to be able to say about your life? Is there something you want to have? A way you want to be? Think about it and write it down...Did you know: You are 200% more likely to achieve a goal if you write it down. You are 400% more likely to achieve a goal if you tell someone. SO, I would like to support you in achieving this goal! Add to the comments on the blog post what it is that you want to have by 12/31/13. Now, is it something that takes a multitude of action steps (such as find a new job)? Or is it one step (such as exercise daily)? If it takes a multitude, write down your next three action steps. If it is one, write down that one step. New Year's Resolutions From the Heart Day-Long Retreat: Join me LIVE on New Year's Day for a day-long retreat focused on getting your year started out strong! More info and to register. New Year's Resolutions Home Study program: Can't join me for the day? Join me virtually!